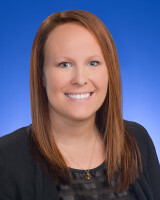 Melissa oversees marketing for Flaherty & Collins Management team, including F&C owned and fee managed properties. She manages social media, website development, advertising, presentations and proposals, strategy execution and reporting across multiple marketing platforms. In addition, Melissa works in tandem with the Flaherty & Collins Properties Marketing & Communications team on new developments and projects to ensure smooth transition of these properties. Melissa enjoys spending time with her husband and kids, reading, and practicing yoga. She is a distance runner and can often be found training for her next race. Melissa is also a Junior League of Indianapolis member, and currently serves as the Internal Communications Co-Chair.